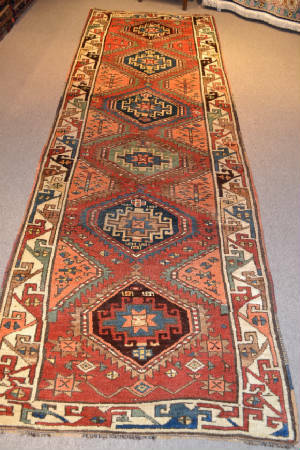 All of the carpets displayed on this page are antiques rugs, over 80 years old. They have been carefully chosen and repaired, when necessary. 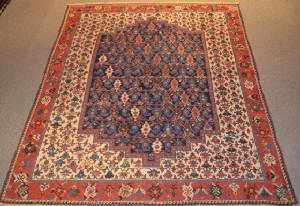 Enjoy the marvelous handiworks, works of art, which have brought continuous joy to more than two generations of people. Note: Super silky thick soft wool. Great blue, and fire red colors. 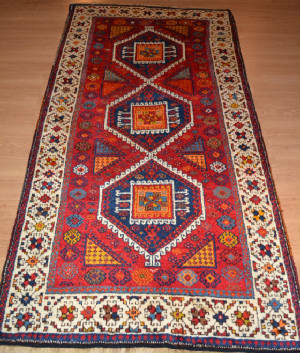 Made as a Dowry Rug. 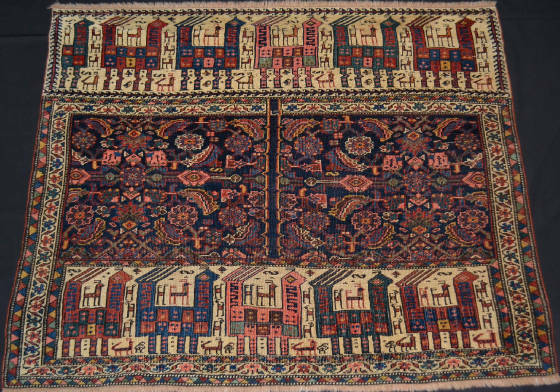 Region/Tribe: Iran Nomadic mysterious rug. Note: Has been used as a horse blanket. Music for the eyes. Note: Beautiful, colors and design. Fantastic border and medallion. Note: Beautiful, happy colors and design. fantastic soft wool.